I never had the privilege of racing against the legends of the Northwest. Guys like Art Pollard, Bob Gregg and Palmer Crowell were finished by the time I started racing…but I did get to compete against one of their contemporaries. I remember meeting Earl Veeder Jr. (and his son David) in the pits at Sunset Speedway around 2000. They’d stroll up mid-sentence, offer unsolicited advice, critique your set up, etc. Man, could they talk! I remember thinking, “Who the hell are these guys?” Earl says, “Well, I’ll be out in a couple weeks…” I’m thinking these guys are all talk but a couple weeks later they show up with this clean ‘ol Tognotti sprinter and away we went. Neither of us were front runners so we ended up racing each other a lot. There were a couple of incidents on the track and Earl stormed my pit afterward. If I were one to throw a punch, I’m sure he would have returned fire! Mostly we just exchanged threats. Then in 2003, Earl showed up with a new Wolverine chassis and became a contender. On July 10th (on “Back to the Fifties Night” appropriately enough) Earl captured the fast car Trophy Dash. At season’s end he won the track’s Hard Charger award. When I raced with Earl he was just beginning phase two of his driving career, a career that began in the late fifties. 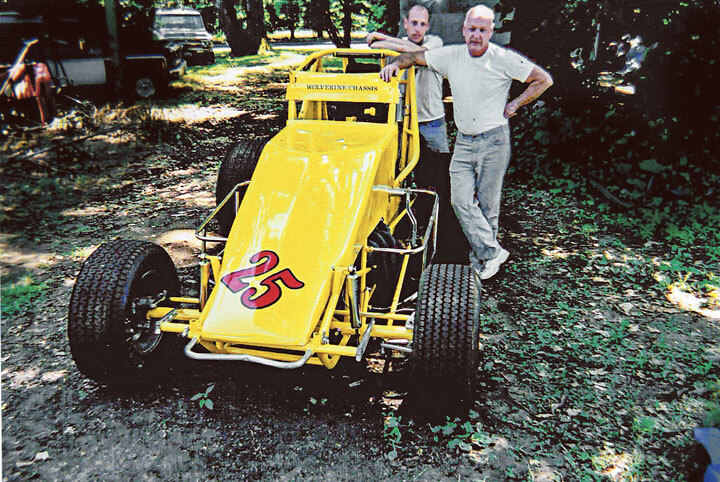 Earl’s first laps were taken in a family owned midget but he soon became a veritable gun for hire. Guys would show up at the track with their midget, big car, hard top or roadster and there was Earl with his gear. He might strap into two or three different cars before choosing the fastest one to qualify. If he could win a heat race and muster a top five in the main, he and the car owner made money. The purses were decent in those days and the split was typically right down the middle. The best rides had assigned drivers of course, so many of the cars Earl raced were of questionable pedigree. It was a dangerous vocation to be sure, in an era that placed little emphasis on safety. Earl had a reputation for getting the most out of mediocre equipment and survived to tell about it. In the early sixties Earl bought a midget of his own—a sweet little Eddie Kuzma creation. He painted it canary yellow and numbered it “25”. Earl couldn’t afford a state-of-the -art Offenhauser so instead he installed a Triumph TR-2 sports car engine. The chassis was a proven winner but the English power plant gave him nothing but grief. Earl soldiered on until reaching a crossroads in 1968. Just as he was preparing to follow his dream back east, his young wife passed away. Twenty five year old Carole Veeder collapsed while spectating with her husband at the now defunct Salem Speedway. A valiant effort was made to revive her but it was all in vain. Now Earl was left with an astronomical medical bill and two children to raise on his own. He was forced to abort his racing plans and get a regular job. For the following decade Earl raced sporadically for other people until another change came to pass. 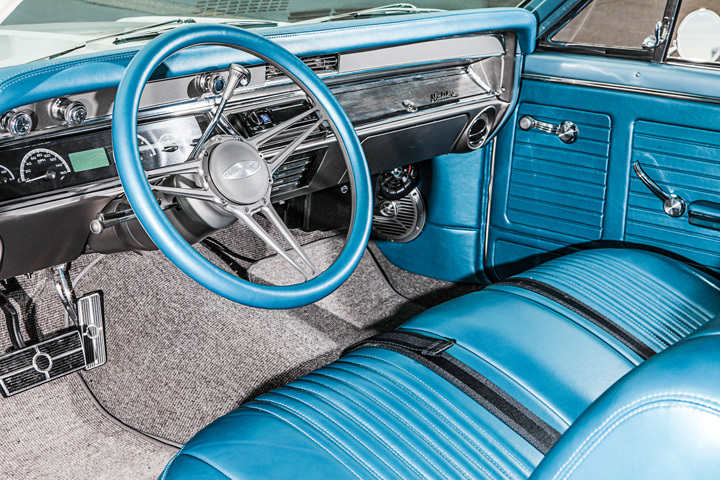 By the late seventies, car owners were expecting their drivers to help with expenses. At that point Earl threw up his hands. “I couldn’t see paying for something I used to get paid to do,” he told Bill (Scoop) Poehler in an interview. With few exceptions, Earl didn’t race again until he could field his own entry. It took him over twenty years. 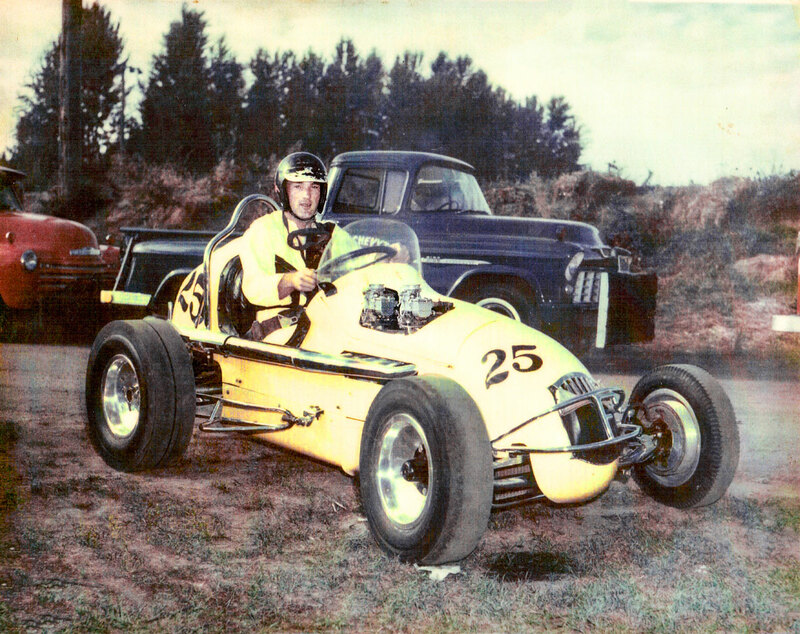 After a dispute with the promoter, Earl parked his sprint car and returned to his first love- midget racing. 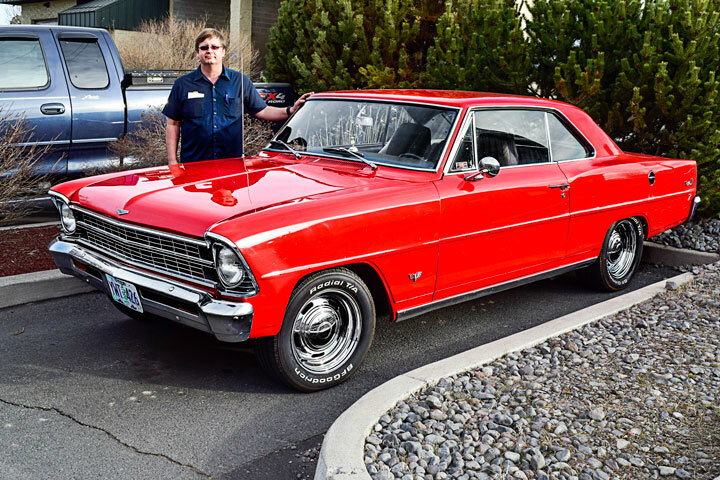 He was driving a sharp little Chevy II powered car for owner Bob Farwell. On February 3rd 2007, under yellow flag conditions, Earl made contact with the crash wall at the Salem Indoors. EMT’s worked on him for twenty minutes before taking him to Salem Hospital where he was later pronounced dead. Earl had crashed approximately one mile from where his first wife Carole had collapsed forty years earlier. He was seventy years old. I don’t like clichés but whoever coined the expression: “He died doing what he loved”, must have been referring to someone like Earl. Since his demise a memorial race has been held each year in his honor. Earl & son David proudly present the new Wolverine sprint (circa 2003). 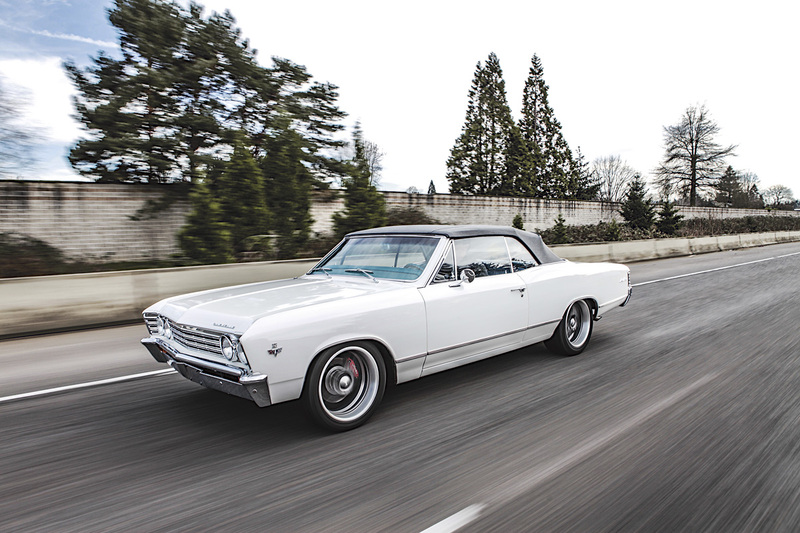 Here’s a story about a family who are really car people. Bill Hess is a car guy, always has been and continues to be. Bill has worked many years in the parts business and his “hobby” is, wait for it, Cars. He currently works at NAPA, High Desert Automotive Supply in Bend, Oregon. You’ve all heard the saying, “The apple doesn’t fall from the tree.” Well that’s true in the case in spades. Bill’s Son, Brent also works at the same auto parts store and one of his hobbies is also cars. But wait, that’s not all. Remember that apple thing? Well Brent’s son, Tucker is a car guy and he works for NAPA in Bend as well. He told me that he is interested in auto mechanics. 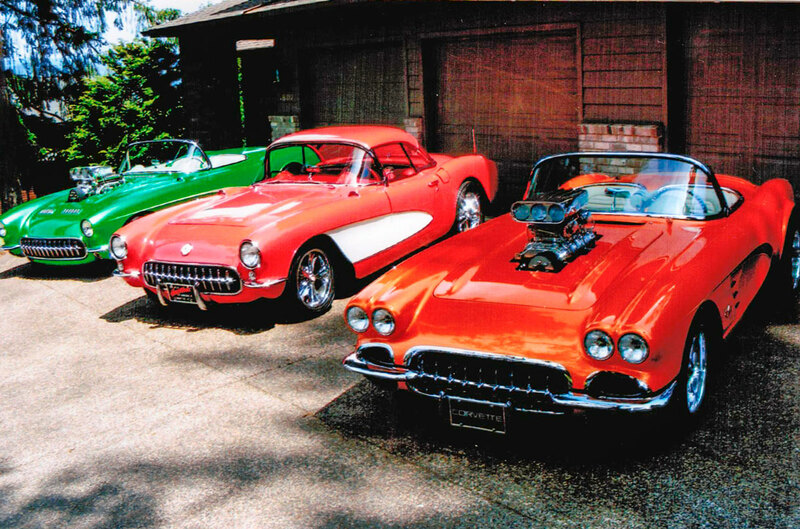 Each of these guys, three generations worth, have a special interest car. In addition, another one of Bills sons is also a car guy. 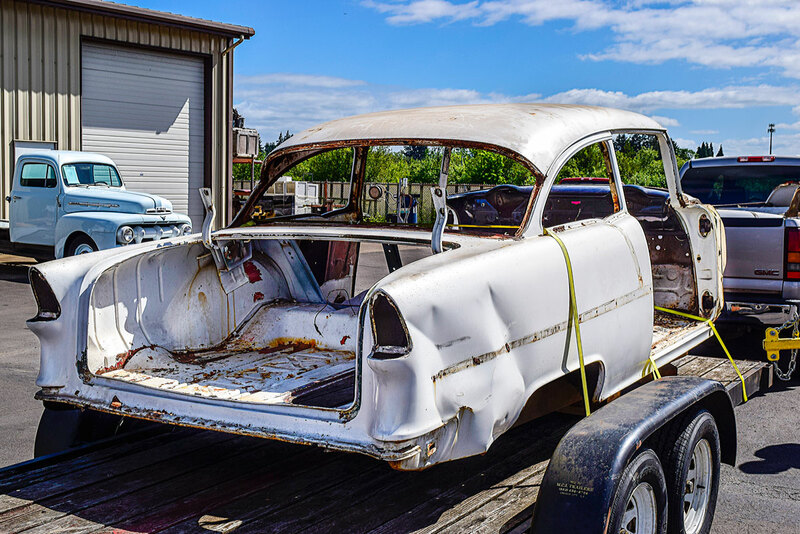 Joe owns a 1953 Chevy 210, club coupe. I once owned a ’53 150 club coupe. You don’t see many of those, and Joe lives not far from me and I’ve seen his car on the road several times. 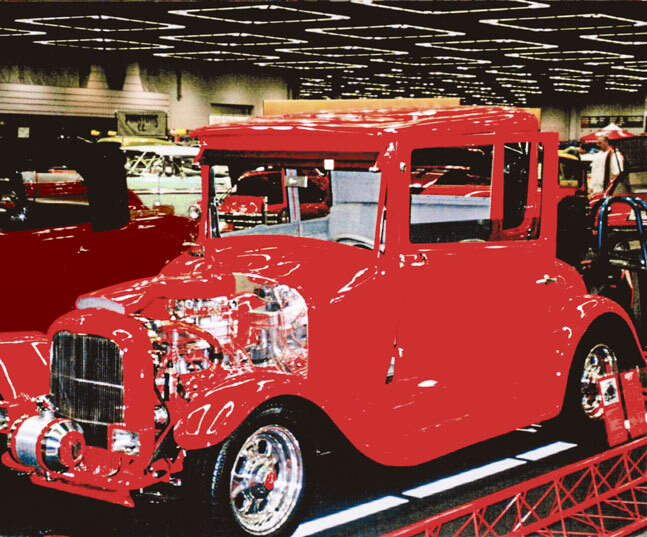 Plus, to show you how deep the 30W flows in this family, David, another of Bill’s sons, owns a 1941 Dodge ½ ton Pickup that Bill rebuilt the mid-fifties Mopar six for. David doesn’t work in the auto industry but that doesn’t mean he’s not a car guy. He works at Clark’s Lumber & True Value in Tualatin Oregon. And they have a car show there every year. You’ve probably heard about it. Unfortunately I didn’t get any advanced notice of the 2016 show in time to include it in our coming events for May. 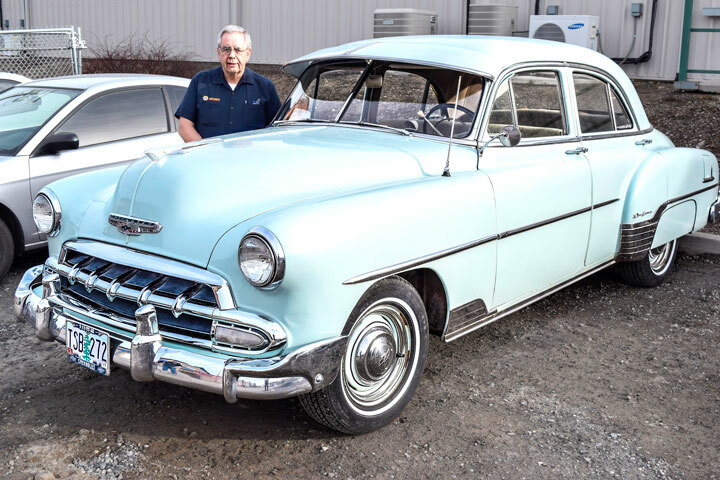 Bill has a very original 1952 Chevy, 4dr sedan. It’s not a hot rod but it’s well preserved and with a little newer 235 engine it’s a cool old car. He tells me too that he is working a 1963 Rambler Ambassador wagon with a stock 327 and an automatic. You don’t see many of those either. I didn’t get any pictures of the Ambassador the day I visited the Hess Family Car Guys at their work but I’m sure I’ll see it at a car function in the future. 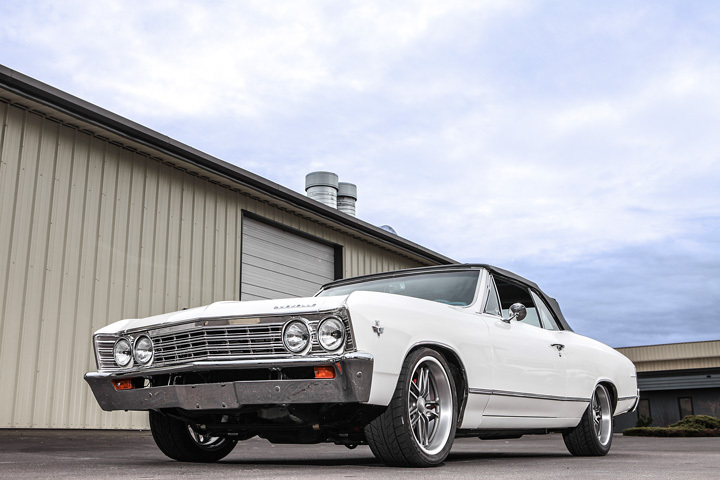 Son, Brent has a 1967 Chevy Nova 2dr Hardtop with a 350 4spd. His Daughter has a 1966 VW Bug. See I told you they had a car family. 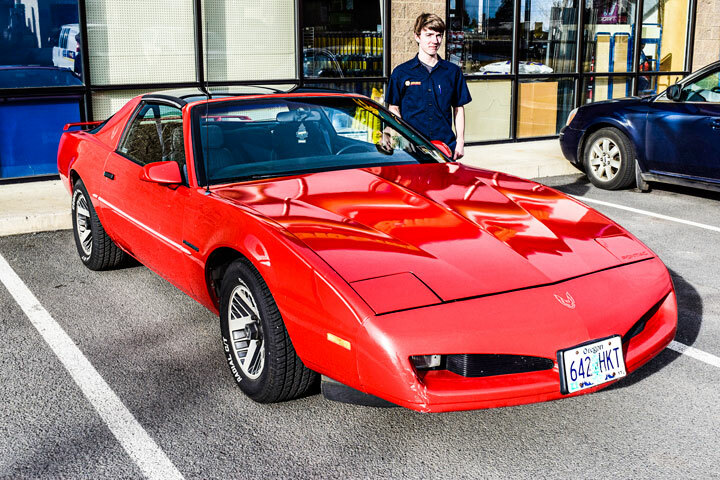 Tucker, who is a student, has a 1991 Pontiac Firebird, with a 350-5spd, that his Dad and his Grandfather helped him put together. 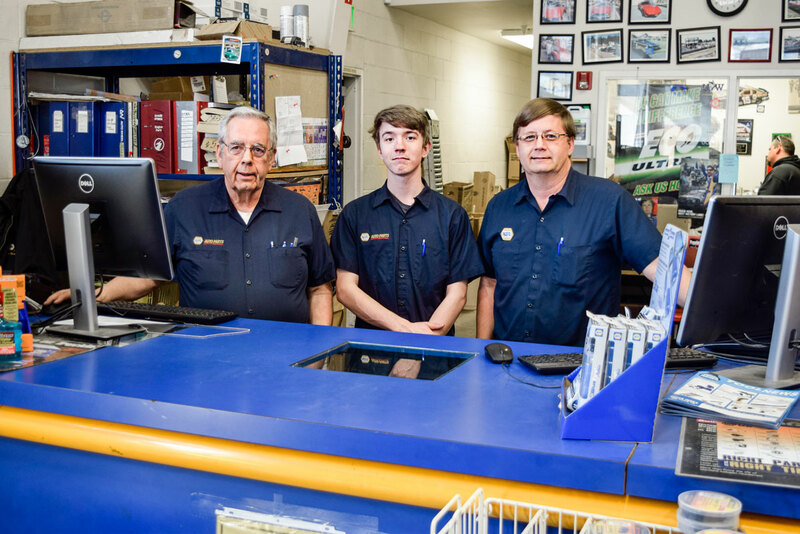 It’s pretty cool that three generations of the same family work in the auto parts industry, together, and all have cars they’ve built to their liking. The Car hobby is going strong in the Hess family of Central Oregon. Those of you who have been reading this EPA column now know about their attempted power grab and the resulting backlash from that effort. SEMA is the Specialty Equipment Marketing Association. They fight for our rights in ways that we simply can’t. They took hold of this and led the charge. We joined in and let our Representatives know. Then State’s Attorneys General stood up one by one and refused to abide by the EPA language as written. The EPA subsequently changed the wording on one sentence. That took care of the issue at hand for the time being. You also know that SEMA filed the RPM Act which was meant to limit the powers of the EPA. They well know that once a Government agency obtains a certain amount of power – they will never cease in their attempts to grab more. 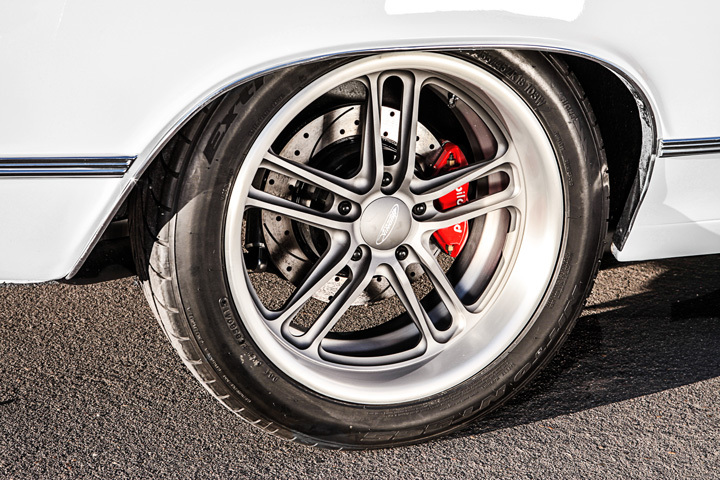 We have since had an increasing number of Representatives stand up behind the RPM act. But we are not out of the woods yet. It still has a ways to go. Before we go any further, we would like you to consider a scenario such as this: You want to improve the performance of your tow rig for hauling your racecar cross country. You have installed CARB approved parts on your engine to accomplish this. This requires that you re-program your CPU in the rig. Next thing you know you are in a jail. Perhaps it was your second offense and the powers that be had decided to make that into some kind of a gross misdemeanor. Of course this sounds totally absurd – but there is no telling what the future may hold. The RPM Act did not cover your truck because it is not used on a racetrack. Granted, the EPA’s efforts might be well better spent going after gross corporate polluters as opposed to a relative handful of hot rodders. But who are we to say? Of course we do have some say. In addition SEMA has asked that we share this to our social media platforms. They have made this very easy for us over at their website. If you have not done so yet, we encourage you to get on over to SEMA.org at your earliest convenience or you can get there from #GearHeadsWorld. Sign on with SEMA and they will carry the rest. We win this battle and then get ready for the next. Mark your calendars for Friday July 8th. 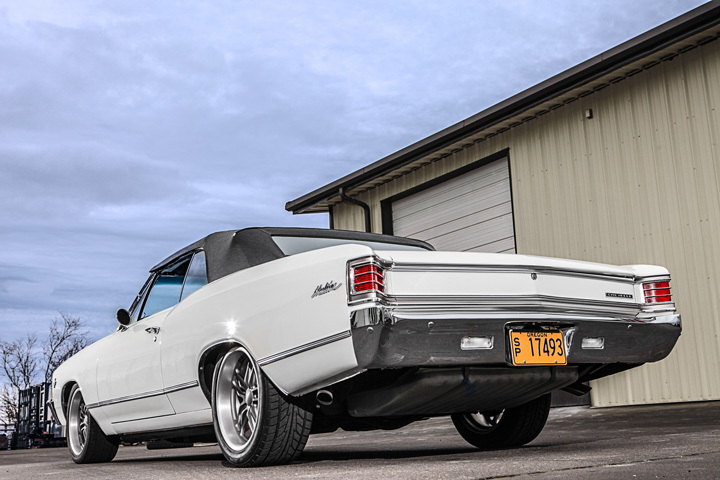 That is National Collector Car Day … got it? That is OUR Holiday. If you would like to know more about this you can visit the Blog over at #GearHeadsWorld. So enough said here—what say you? Just so you guys that are following this elongated story, here is a quick update. A couple months ago I gave you a little update where I had taken the body off the frame and did the test fit on the new frame. I’m glad to report my scientific wild guess on engine placement worked out great. With the body set where it would be bolted down the firewall cleared the back corners of the heads by at least a half inch. Lucky guess I know. The next phase was to dismantle it in prep for dipping and stripping. We found some rust that wasn’t apparent until we got it blown apart, (darn) but we half expected that. It’s going to require a little more work to replace the rusted panels but surprisingly this old car is very solid. Gary the metal man at Metal Works in Eugene looked at it and said he thinks the wrinkled quarter panel can be “pulled” rather that replaced. He likes the old metal just like I do. It’s out of the dipping process this week. I hope to include a couple pics of what it looks like in bare metal, hopefully not Swiss cheese. Did I tell you about how much damage rodents can do in your headliner? Those rotten little ?!*#+@? *& so and so’s. Oops, sorry for the colorful language, but I’m betting you understand. I’ve been working very hard on both the paper and my projects. I’ll try to do a more complete up-date maybe next month.